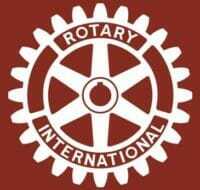 In 1915, the Rotary Club of Louisville sponsored the charter of the Paducah Rotary Club as the second club in Kentucky and 139th of the now more than 1.2 million Rotarians in 31,000 clubs located in 166 countries. The Paducah Club began with 55 men committed to service. Today, the club has approximately 200 members, more than 40 of which are women.